Chews were tasty, soft and as I remember them. Was surprised how awesome these tasted. my favorite and I can't find them anywhere else. Very good product they taste like real fruit chews good taste. Found same candy for 1/3 the price at a local store. I'm sorry, they seem to be stale, as the outer wrapper sticks when trying to open a candy. I'm afraid this will draw ants when I throw the wrappers into my plastic trash bag. I am handicapped and my grandchild only empties my trash once a week! Love these. Can never find them in stores. Looks like a great deal. WE BOTH LIKE THESE CANDIES!!!!!!!!!!!!! Really don't remember how I got started on these, all I can tell you is they have excellent flavor ! Received a Catalog. Look forward to it each year! we have always liked tootsie roll products. Taste great and I hadn't seen them in years! Taste like the candy of olden days. 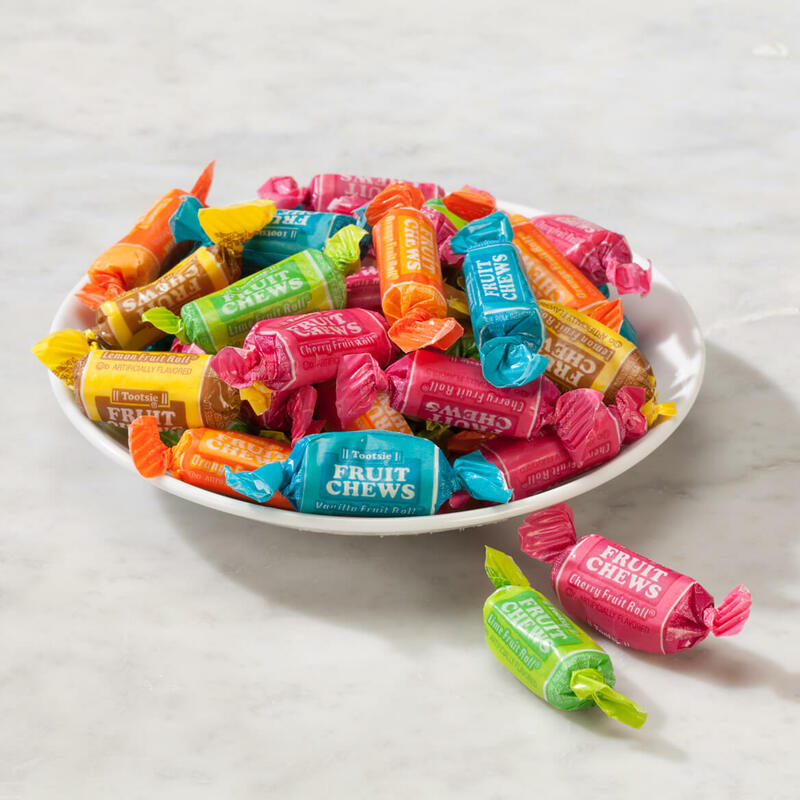 These are my favorite fruit flavored tootsie candies!! They're very good. If you like Tootsie rolls, these are chewy like Tootsie Rolls but then you get the burst of flavor that's not chocolate! I love them! My Grandsons like them and the older one, who has a severe peanut and tree nut allergy, can eat them. Hard to find in my area stores. I like tootsie rolls,these are a little harder to find.thats why I purchased them from mileskimball. 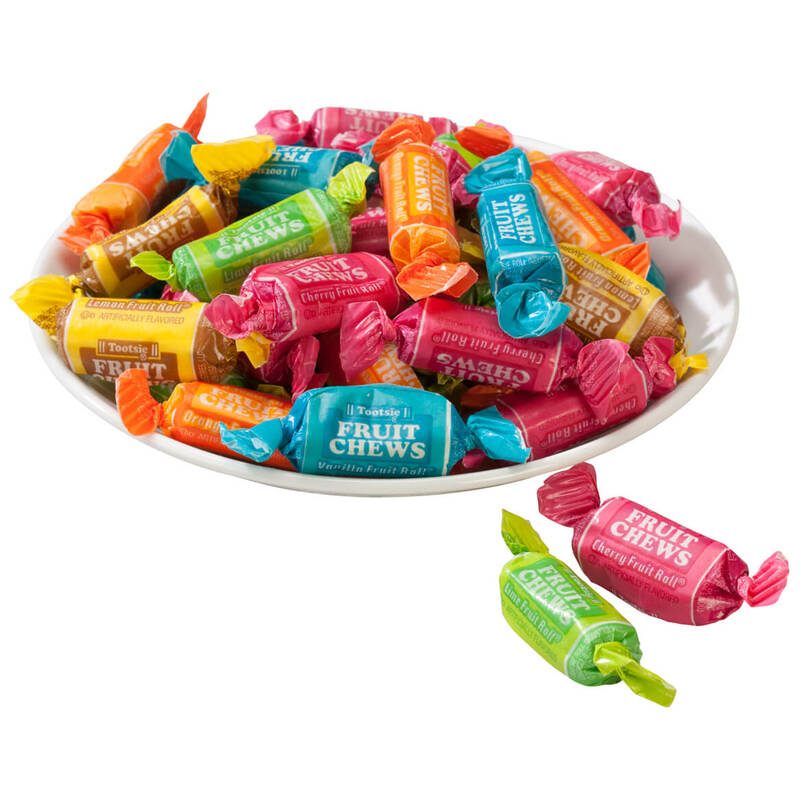 I like tootsie rolls and the fruit chews are sometimes hard to find so when I saw this I just had to have them. These I never find so, when I see it I buy. I bought the 'Fruit Chews' to see how the taste when they get here. I hope that they taste good. Love the orange flavor and the chewy chewy texture of this of Tootsie rolls! Favorite candy of childhood. Unavailable in my area. My son likes the Tootsie Fruit Chews.